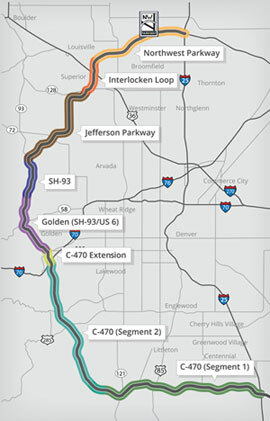 The goal of the WestConnect Coalition is to foster regional alliances and collaboratively design and implement transportation solutions to improve safety and mobility in the western area of the Denver metro region. The Coalition has now selected a technical consultant, David Evans and Associates, to lead the Planning and Environmental Linkage (PEL) study. Jonathan Bartsch has been meeting with each of the jurisdictions to identify their unique issues and concerns, facilitating a technical working group and leading the policy level steering committee. Jonathan and the CDR team will continue to lead the consensus building effort for the Coalition including support for the public engagement process during the 18-month PEL process. Stay tuned for more updates as the PEL gets underway. For more information, please contact Jonathan Bartsch or visit our transportation practice page.